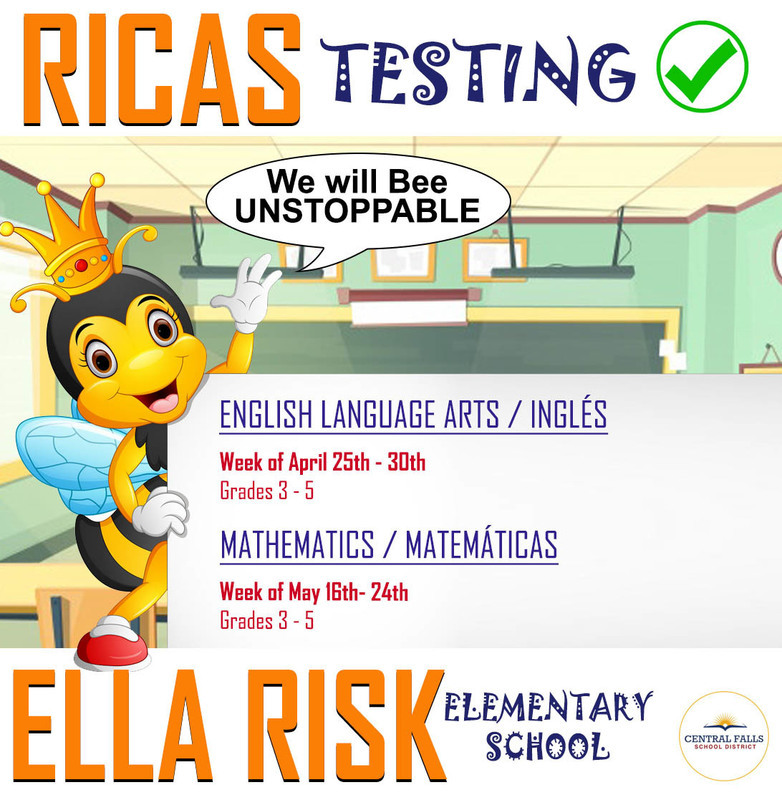 CF KICKS OFF RICAS TESTING NEXT WEEK and we are FIRED UP! Shout out to schools and staff that worked so hard on preparing our students for this match up. Shout out to students that snagged a score of 100 on their pre-exams. 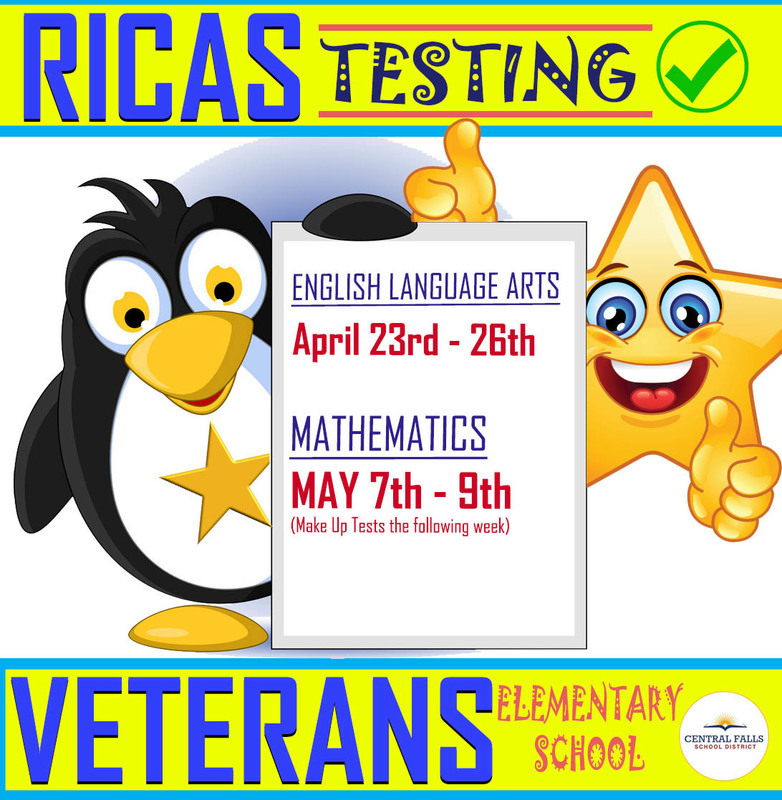 A little birdie told us one school has over 100 students with a perfect score. 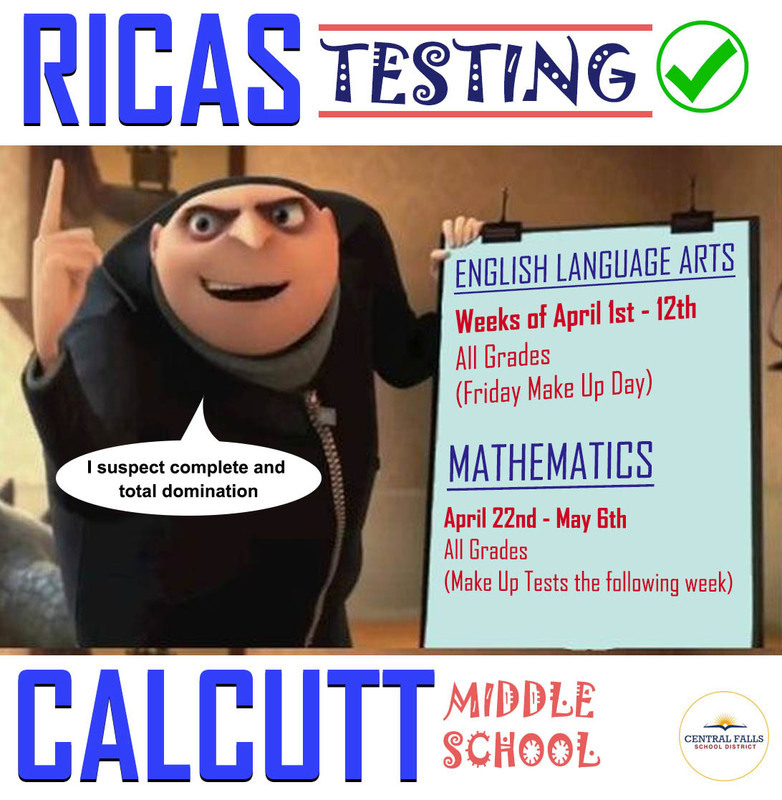 Check out the schedules below and videos on what your students should and shouldn't bring to school on testing days.